On A Cold Night Are Your Windows Open? Whilst this may sound like a stupid question! You're need ventilation if you're operating a flueless / unflued gas heater and want to remain healthy, even according to the manufacturer's documentation. YES! Manufacturers and the Building Code of Australia state you need adequate ventilation, when operating these devices. We are often asked whether flueless / unflued gas heaters are healthy or unhealthy by householders in Australia. If These Heaters Are Healthy, Why Is It They Are Banned In So Many Places? If they are banned in schools, is it really a wise choice to go and install them in our homes? At Aussie Home Energy we do not think this kind of heating is a healthy choice. There are too many pollutants, with unanswered questions as to the future effect on health. Are You Aware You Need Adequate Cold Air Ventilation When Operating These Heaters? We say 'cold air' as that is what it is, when you need a heating source. In most manufacturer’s documentation it states, adequate ventilation is a requirement! How much ventilation though and what type on a cold night, results in most homes we have visited, having no ventilation! In this report on Flueless Gas Heaters hosted on the Federal Government's health website, the Building Code of Australia states a requirement of openable windows or the installation of mechanical ventilation system, conforming to the appropriate Australian standards (AS1668.2 1991 & AS3666). The code requires all occupied rooms to have ‘adequate flow-through or cross-ventilation and air quality’. This must be provided by natural ventilation from permanent, openable windows, doors or other devices with a combined openable size of NOT LESS THAN 5% OF THE FLOOR AREA of the room to be ventilated, or a mechanical ventilation system conforming to the appropriate Australian standards (AS1668.2 1991 and AS3666). To put that in layman's terms, for every 10 metres of floor area you need at least a window of 0.6 x 0.9 OPEN. Now on a cold night, non of our clients when asked had nor were going to do that! So we know the requirement is not being applied in most Aussie homes! 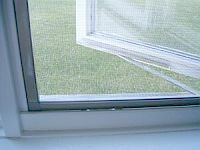 The Building Code of Australia requires the provision of openable windows or the installation of a mechanical ventilation system conforming to the appropriate Australian standards (AS1668.2 1991 and AS3666). The code requires all occupied rooms to have ‘adequate flow-through or cross-ventilation and air quality’. This must be provided by natural ventilation from permanent openable windows, doors or other devices with a combined openable size of not less than 5% of the floor area of the room to be ventilated, or a mechanical ventilation system conforming to the appropriate Australian standards (AS1668.2 1991 and AS3666). To read 'The Health Effects Of Unflued Gas Heater Use In Australia' report visit their website. To help you work out what 5% equates to in window sizes, we have a table on our website on the Home Energy Gas page. So Are You Increasing The Risk Of Health Issues With Your Current Flueless Gas Heaters Operation? We hope not. But if your like some of the homes we visit, we hope you are going to make healthy changes! ONE CLICK POLL : We would like to know how much ventilation, you are operating your unflued gas heater with. We are asking for your vote. Firstly you will need to know the size of your room. Secondly to assist you in working out the 5% of floor space, thus resulting in the required window size we have a table on our Home Gas Energy page. I was very pleased to observe this web site. I wanted to thank you for this great ideas! ! I definitely enjoying every little piece of it. There is no doubt that flueless gas heaters can be dangerous if misused, as can many other items in modern society, eg, cars. I find your site rather alarmist about the risks though. The general tone is that unflued gas heaters should be banned. And to support this claim you seem to have engaged in selective publication of material that supports your case. This has in fact destroyed your credibility for me. you show a table claiming this is the amount of ventilation required for use of an unflued gas heater. For my lounge room, this would require a window of approximately one square metre to be open - ridiculous. The table you are quoting is a guideline from the Building Code of Australia for "openable window space" for a room. This does not say that the window has to be open all the time, nor that it should be open fully when a gas heater is being used. It merely specifies the amount of window space recommended for each room. By claiming it is required for gas heating is possibly fraudulent, or at least calls into question the competence of the person(s) writing this. How much other stuff on this site is similarly flawed? We would say surely if adequate airflow is to be provided by mechanical ventilation or natural ventilation, one can only assume this means the appliance is in operation or the natural ventilation, be it a window, is adding the adequate ventilation to the room in question. Quoted here from the Federal Government's Department of Health & Ageing's website, is the section on 'ventilation', taken from their report on 'The Health Effects Of Unflued Gas Heater Use In Australia'. Measures to increase the energy efficiency of homes often decrease ventilation, either natural or mechanical. This decreased ventilation can result in indoor air contaminants, including those from unflued gas heaters, concentrating to high levels. A link to the Federal Government's Department of Health & Ageing's website for their report on 'The Health Effects Of Unflued Gas Heater Use In Australia', has been added to our original blog posting. The table you relate to was designed to merely assist householders, in easily seeing the 5% ventilation requirement, in a different light. During our home energy assessments, we have found a very high percentage [95%+] of householders, to have NO ventilation. Generally because of NO awareness! The 5% ventilation regulation is usually unknown of, nor known of being quoted in any appliance manual. Further when discussed with the householder this 5% regulation being such a small number, is often thought of as not relevant to the detriment of air quality in the room. The regulation itself being questioned by the non-aware householder. Is this a smart heating system for Australians? Surely for natural ventilation to be supplied via a window relating to 5% of the room's floor area, this window needs to ventilate and be open. The issues we see with this kind of heating, is getting householders to ventilate their rooms to keep air quality at a safe level. According to the regulation on 'safe air quality' and from what we have seen, the householder's air quality is at a non-safe level, and this according to information available, brings their future health into question!